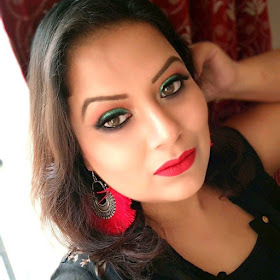 Well,here i am with my last review(for time being ! hehehe) from the body shop tea tree range. The lotion comes in a pump bottle. 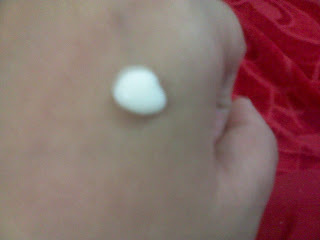 The lotion is white in color.light in texture. 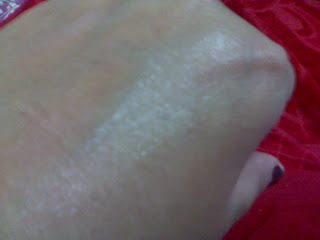 This is the picture after the lotion is applied on hand.lt leaves a slight greasy finish that is easily absorbed after sometime. I apply it at night before going to bed. 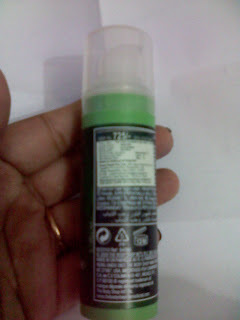 The product claims:It fades the spot of pimples by daily use. 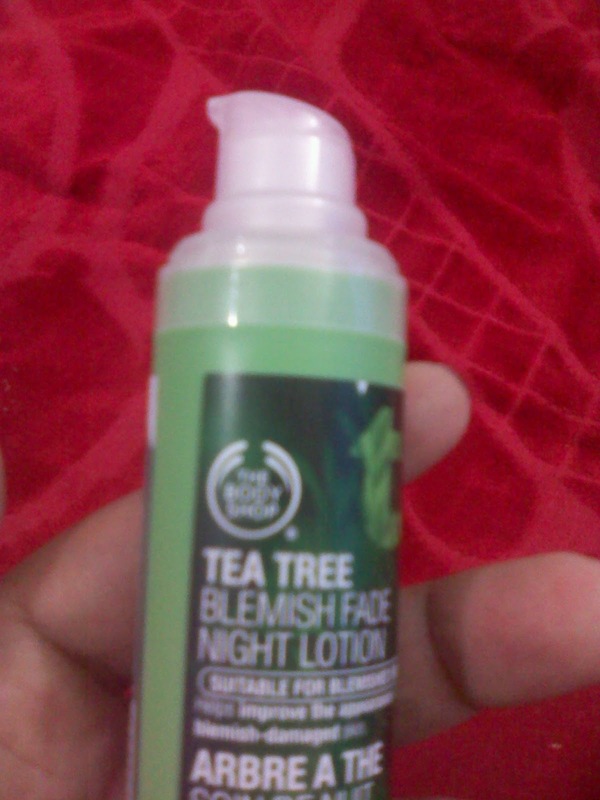 As i am using this product for last 20 days,so can't say much about the product but all i can say that my pimple spots became one shade lighter so am gonna continue to use this product to see the ultimate result. 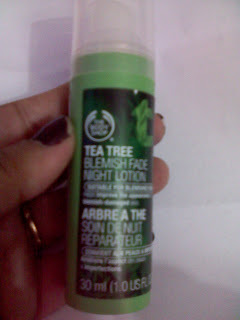 Here's comes an end of my reviews to my The body shop tea tree range that i am using now a days. Will review some more products from tbs in future.